The Bourbon Rundown Tried LaCroix’s New Coffea Exotica Sparkling Water at the SoBe Food & Wine Festival and Loved Its Taste and Healthy Properties! Read More Here. Wedding Salon – We LOVE LaCroix Water! The Wedding Salon Says It Loud and Proud, “We LOVE LaCroix Water!” Read More Here! Wanderlust Shares 5 Caffeine-Free Ways to Beat the Midday Slump. Read More Here. Actress Ruby Rose Shows Off Her Healthy Fridge to Vegan News, and Of Course LaCroix Is One of Her Staples! Read More Here! Seattle Refined TV Shows You How To Make Naturally Sweet Spring Mocktails with LaCroix! Read More Here! If You’ve Gone Off the Rails, Here’s a Reset: Instead of Diet Soda, Pick Up A LaCroix and a Kind Bar Instead, Says The Royal Gazette. Read More Here. Wanderlust Shows How LaCroix Partnered with Caley Alyssa on ‘The Flavor Of Your Pose’ Wherein She Used Lime LaCroix To Illustrate Her High Lunge Prayer Twist. Read More Here! The Product Placement Blog Captured LaCroix Making a Screen Appearance in Netflix’s ‘Something Great’ Movie. Read More Here. Registered Dietician and Nutritionist, Carly Kellogg Knowles Showed KATU-TV 3 Different Ways to Make Healthy Water Infusions with LaCroix Sparkling Water! Read More Here! Douglas Gerlach Tells the MoneyShow Why He’s Fond of Fizz as a Stock Buy (aka LaCroix). Read More Here. As Per Her WGNO-TV Post and Segment, LaCroix Is One of Registered Dietician Molly Kimball’s “Love” Cited Mocktail Mixers For Lent. Read More Here! US News & World Report Includes National Beverage Corp. In Their 7 Long-Term Revenue and Earnings Growth Stocks Article. Read More Here! 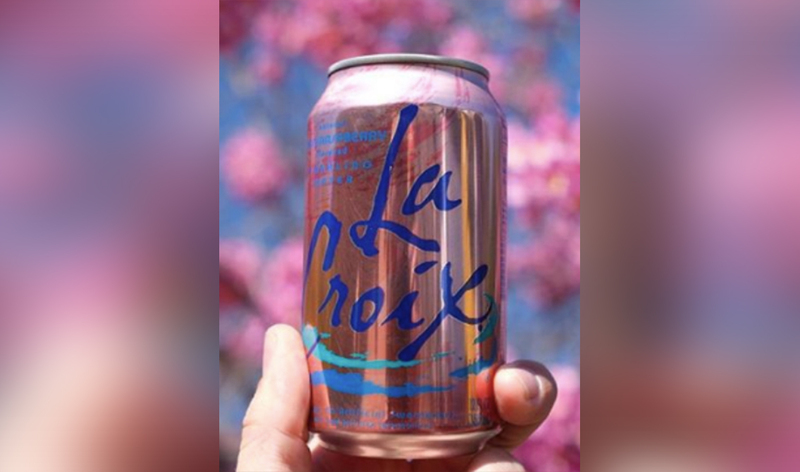 In Did You Know’s Latest Post, They Share 7 Things About LaCroix, Just Because Everyone Loves It So Much! Read More Here. Business Insider Shares 15 Bulk Deals on Household Items (Like LaCroix) That Will Save You Tons of Money! Read More Here! LaCroix Is a Favored Beverage That’s Being Bought In the West Right Now, as Documented in WholeFoods Magazine’s What’s Selling Section. Read More Here. Women’s Health – Can You Drink Black Coffee While Fasting? Yes, You Can Drink Black Coffee or LaCroix While Fasting and It Won’t Count as a Fast Break, says Women’s Health Magazine! Read More Here!! Read More Here! Press From – Are Fruit Flavored Waters Good for You? Press From Asks If Fruit-Flavored Waters Like LaCroix and Others Are Good For You. The Answer is Yes. Read More Here! LaCroix Was One of the Sponsors of the New York Open, One of the Area’s Most Popular Professional Sports Events in NY, as Reported by Long Island Business News. Read More Here. Are There Benefits, Risks or Side Effects of Drinking Carbonated Water Like LaCroix, Herald of Fashion Asks… Not so Much! Read More Here! The Star Tribune Makes Some Great Alternative Recommendations for A 28-Day Sugar-Free Challenge, Including Drinking Flavored Sparkling or Seltzers like LaCroix. Read More Here. People – Inside Deanna Pappas Stagliano’s Daughters Unicorn-Themed BDay Party! People Also Covered Deanna Pappas Stagliano’s Daughters Unicorn-Themed Birthday Party Where You Guessed It, LaCroix Was Served to Guests! Read More Here! People – Inside Beverley Mitchell’s Son Hutton’s BDay Party! People Covered Beverley Mitchell’s Son Hutton’s 4th Birthday Party Where LaCroix and Other Goodies Were Served! Read More Here! 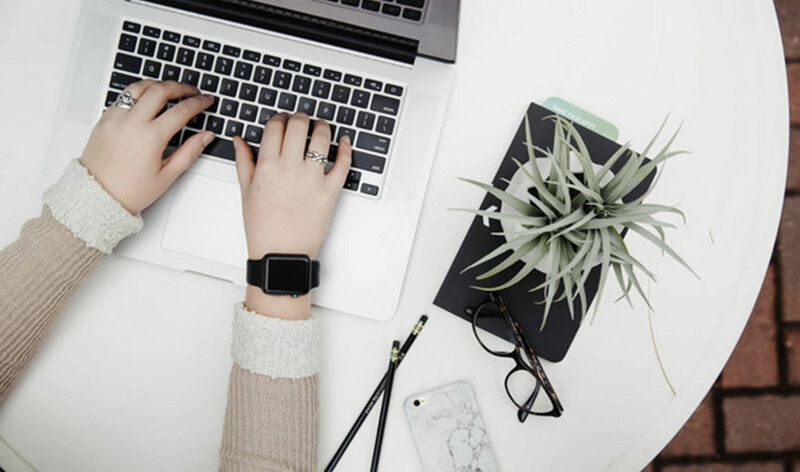 The Fruitful Blog Explains How She Saves $100’s On Groceries Each Month by Shopping For Her Staples and LaCroix at Aldi’s. Read More Here! Because Everyone’s Love For LaCroix Sparkling Water Is So Immense, Now LaCroix-Inspired Eye Makeup Is Trending, Says MSN! Read More Here! Hannah and friends from @girlshbo drink LaCroix (aka La-Qua), making it “as hip as Brooklyn itself!” How many of you saw this gratis inclusion and yelled at your TV when you did?! Watch Here! Nutritionist and One Minute Wellness Coach Deborah Enos shares her healthy, back-to-school snack recommendations. Watch Here! Nutritionist Mitzi Dulan RD spices up school lunches without compromising healthy choices! Watch Here! Wellness expert Stephanie Mansour of Step It Up With Steph shows us how to pamper Dad on Father’s Day! Watch Here! Lifestyle Ashley Pettit discusses how to re-boot your body with healthy changes in the New Year! Watch Here! Dr. Travis Stork discusses the importance of hydration and LaCroix as a healthy option, then does an audience Word of the Day giveaway! Watch Here! Superchick Life Created a Zen-Like Video Where She Opens and Drinks 4 Different Cold Flavors of LaCroix! Read More Here! A Must See: Repeat Crafter Me Designed and Crocheted an Amazing Blanket In Ode Of Her Favorite Flavor Pamplemousse! Read More Here! The Daily Nurse Offers 5 Tricks To Slash Your Sugar Intake; Including Hydrating More With Water – Or Sparkling Water – Like LaCroix! Read More Here! Foxes Love Lemons Got Crafty When They Created A Salad Dressing Made With LaCroix! See Their Recipe and Read More Here! 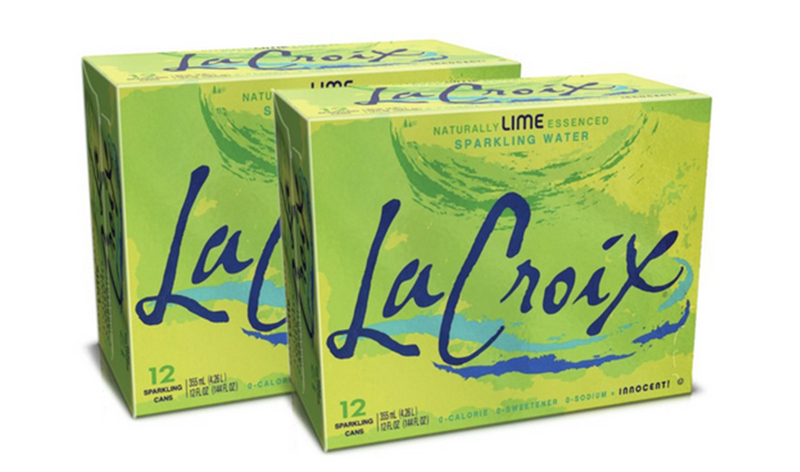 The Ginger Lime LaCroix Mocktail That Fresh Direct Featured On Their Blog Is A Must Try! Read More Here! Doreen’s Style Diary Knows How To Throw A Proper Picnic! Luckily For Us, LaCroix Is A Must-Have Beverage Option For Her And Her Family! Read More Here! The Rebel Sweetheart Shares Her 5-Day Flat Belly Diet Plan And Recommends Making The Switch From Soda to LaCroix Instead! Read More Here! A Top 5 Diet Tip: Kick The Soda Habit And Drink LaCroix Instead Says Things That Make People Go Aww! Read More Here! Simply Southern Moms Gluten-Free Friday Recommendations Include LaCroix And Other Healthy Options! Read More Here! Parenting Healthy Is Rocking Her New LaCroix Sweatshirt and Headband Like A Boss! Read More Here! Sweet and Strong Has Healthy Grocery Swaps For Your Review And Yes, LaCroix Sparkling Water Is One Of Her Highly Recommended Items! Read More Here! We’re So Happy That Our Holiday Variety Pack Made 101 Things I Love’s List This Season! See Her Festive Pics and Read More Here! ‘Tis The Season To Serve She Learns Things Delicious Cran-Raspberry LaCroix Holiday Punch! A Must-Have To Ring In The New Year Too! Read More Here! What To Expect When You’re Expecting: Seeking Misadventure Suggests Giving Pregnant Women A Lifetime Supply of LaCroix As A Holiday Gift! Read More Here! Looky Tasty Is Loving LaCroix’s Holiday Variety Pack and Were Inspired To Make a Marvelous Mocktail Mimosas With One Of The Included Flavors. A Kailo Chic Life Created A Tropical Holiday Party Theme That Will Make You Feel Warm and Fuzzy All Winter Long! Read More Here! Boxwood Avenue Created an Apple Spice Fall Recipe With LaCroix That Is A Must Try Now That The Weather Is Turning Crisp. Read More Here! The Melon Raspberry Float That Letty’s Kitchen Created Is Like Sunshine In A Glass and The Perfect Pick-Me-Up For A Rainy Day! Read More Here!